NOTE: This article has been updated with more urban survival skills you should learn. 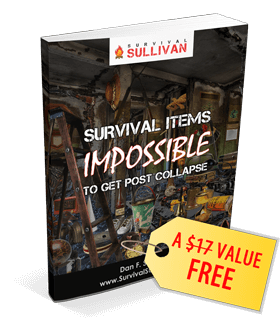 After writing a pretty long article about all the survival skills you could possibly learn, I decided to make a similar one just for urban scenarios. 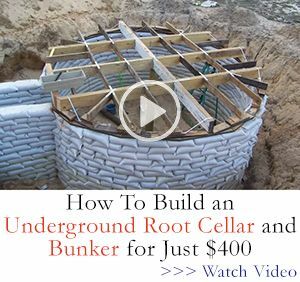 I’m doing this for several reasons, the biggest one being that city dwellers generally don’t concern themselves with bushcraft techniques or living off grid. To be completely honest, you should learn about living in the wilderness even if you’re an urban prepper. Who knows what national disaster may come that will turn cities into death traps and force you to retreat in the wilderness. But OK, I get it, you’re not concerned with such scenarios just yet. Let’s see the full list of all the urban survival skills you need know and practice starting today with your loved ones. The larger the city, the bigger the odds of a riot. Sometimes you’re not aware of what’s happening until it’s too late (even the peaceful protest can take a turn for the worst). Sometimes there could be a social unrest that sprouts up between you and your home. How do you escape one? First, you have to move with it, not against it. Better yet, move at an angle until you get the chance to get out and disappear in one of the streets. Second, don’t respond to challenges. Don’t run, don’t shout, and if someone wants your gun or money, it’s best to comply. Assuming the classic scenario of empty store shelves, finding food in a crisis is going to be tough. The most likely places you can find food are going to be the various body of waters such as lakes and ponds. There may be fish, there may be ducks, and you will need to know how to catch, kill and then cook them. Next, let’s not forget pigeons. They may not come in plastic wraps ready to be put in the micro-oven, but when you are starving to death, you may not have a choice but to consider them. Pigeons are abundant in cities and hunting them isn’t that hard as long as you have an alternative survival weapon such as a slingshot or an airsoft rifle. Of course, a bird trap will always be the most effective. If you’re looking for cooked food, you’re are probably going to have to search all the trash cans and dumpsters you can find. Keep in mind that everyone else without skills to hunt is going to do that as well. Once you hear news of a disaster hitting you, provided that you can bug in, the first thing you should do is turn on all the faucets to collect as much water as you can. But then what? Next, don’t forget rain. You may have to find ways of collecting it directly from your balcony but you do have to purify it. Same thing with snow. There are a number of ways in which you can filter and purify water, from boiling to using bleach, purifying tablets, and distillation. Of course, the easiest way in short-term emergencies is to have a filtration system and even a personal water filter such as the LifeStraw. The more people in your vicinity, the more likely you are to be attacked in one way or another. My Simple Self-Defense Report will tell you how to use unconventional weapons to escape an attacker. 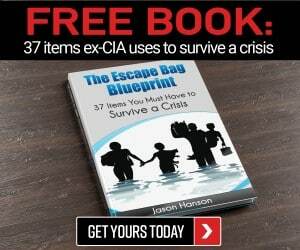 This is a must-read for any urban prepper because you need to know about all the everyday items you can use to defend yourself such as your car keys, your high-heel shoe, or even your scarf. You also need to know the body parts to strike for maximum damage. Handguns are the best choice for urban survival but effectively shooting (moving) targets is a skill that needs to be practiced. Read my free Gun Factor Report to find out which handgun is best for you (please ignore the first part about rifles and shotguns, these are more appropriate for suburban and wilderness survival). This is a big problem for most urban preppers. How on earth are you going to go home if you’re stuck on the other side of the city and all the main roads are flooded? Well, you have to do your due diligence beforehand and know a way to get home from just about any other point in the city. You do that by actually walking or driving through those roads so you familiarize yourself with them. Bugging out of from city where chaos has descended is tough. The roads could be blocked due to any number of reasons: floods, heavy snow, riots, people trying to get out of the city, and so on. The trick is to know all the secondary routs that could get you out of there and try them. Do family drills to make sure that even your kids know how to bug out. With no plumbers to call, you’re gonna have to do everything yourself. With no electricians to call… you get the gist. Very few preppers see this as a skill but when you’re stuck in the streets, you need to be a great driver. You should know how to move even through the smallest places, to spot opportunities to advance with your car, to NOT drive in a way that attracts attention, and, overall, to be able to get your loved ones out of there and to safety. Don’t be one of those people who are afraid of traffic. If your car is your bug-out vehicle, become a good driver. Get a job as a cab driver, take defensive driving lessons, I don’t care. Just make sure you don’t panic when you’re behind the wheel, and you see your city descend into chaos. You’d be surprised of all the things you can do to become just a little bit more self-sufficient in a tiny apartment. From growing your own food using the miracle of vertical gardening to collecting your own rainwater to harvesting your own energy. No, you won’t have to find a fallen tree and start gathering branches for your shelter… nor will you have to build a quinzee. Finding shelter in an urban area is all about thinking like a homeless person. Abandoned buildings, vehicles, covered alleys, and dumpsters, these are all good ideas you may want to remember. Heck, you can even make a shelter of cardboard if you can find any. In fact, why not start looking for them the next time you wander around your town or city? You already know all the primary and secondary routes of getting out of the city, why not take things to the next level? Adaptability is a somewhat vague skill to have, right? How can one adapt to an SHTF scenario? Well, by putting oneself in uncomfortable situations during peacetime. Quit your job for something different. Take live survival classes to put yourself in the middle of mother nature. Join the military. Give almost all your cash to your wife and learn to live off pennies for a couple of days just to see your reaction. and #2. Putting yourself in adverse situations to get yourself out of that comfort zone. If it’s impossible to use a car or you don’t have a bike, bugging out on foot may be the only choice. But you have to be able to move quickly and keep in mind you’ll have a bug-out bag on your back. Practice long-distance running and even do some weight lifting to make sure your body can cope with a combination of walking and running with 20 pounds on your back. If you don’t yet have maps of your city and all the exits, I suggest you get them. If you can find topographic maps that will give you extra-information, even better but make sure you know how to read them. The approach you have when escaping a building depends on why you want to do that. Is there a terrorist attack going on? Unless they spotted you, you should probably run for your life as fast as you can. Is there an earthquake? You should probably stay because the stairs are going to be the first ones to break down. Is there a fire? Make a habit of noticing and remembering all the exit points of a building when you walk into it (whether it’s a mall, a hotel etc.). This goes without saying, you need to know what to do if you get shot, if you get tear gas in your eyes, if you break something or if someone else has any of these problems and you need to help. With so many people around you, you must develop an instinct for anyone that looks suspicious. Get to know your neighbors, get a feeling of what they are like, on whether they’re troublemakers, figure out if they have something to hide. Knowing where to park in a city is something not many people talk about. I wonder why. For example, you should never park next to a big tree unless you don’t have a choice. If there’s a strong storm, a heavy branch could fall on your car. Make sure the chosen parking spot is well lit. This will minimize the chances of thieves trying to break in. Never park in the exact same place every day of the week, whether it’s at home or at work. This will make it easier for local thieves to recognize the car and license place, to observe your pattern (e.g. the time you arrive and leave every day) and plan accordingly. Although empty shelves are going to make it harder for you to scavenge for food, a big city will have lots of hidden gems where you can find food, water and anything else you need. I admit, you have to become a little creative when it comes to post-SHTF scavenging. Trash cans, the city dump, restaurants (knives, spices, canned food) – basically any place that’s not yours and you can get into may have something you need. Offices, gyms, fast food joints, malls, dollar stores, abandoned houses, drug stores, vending machines (you might need a pry bar for this), pet stores, supply depots and even airports! Living in a city also means you’re going to have to travel to other cities every now and then. You need to develop the skill of rapidly adapting to a new town. For example, when you land in an airport, do you instinctively look to see all the exists? Then you take a cab, do you look to get a feeling of the road connecting the airport to your hotel? Do you notice the landmarks or are you just minding your own business, unaware like the rest of the people? Do you have a small BOB in your car or even your luggage? Do you take the time to read the evacuation plans that are usually hung on a wall in your hotel room? These are all things to think about. If money becomes worthless, bartering might be the only way for you to keep yourself and your family alive. I wrote an article about it here. Since your food stockpile is limited by the size of your apartment, you’re gonna have to procure your own food. Most people have no idea that cities are full of delicious, healthy plants that are going to make very good salads. Heck, if you want, you can just pick them, wash, and eat them! Green dandelion, asparagus, malva, ground ivy, and clovers are just a few examples of edible plants you can find in and around cities. Find out even more here. Cities are very dense. There are eyes watching you at every street corner. It’s critical that you know how to blend in if you want to avoid getting mugged, beaten to death, or worse, but becoming the so-called grey man isn’t trivial.